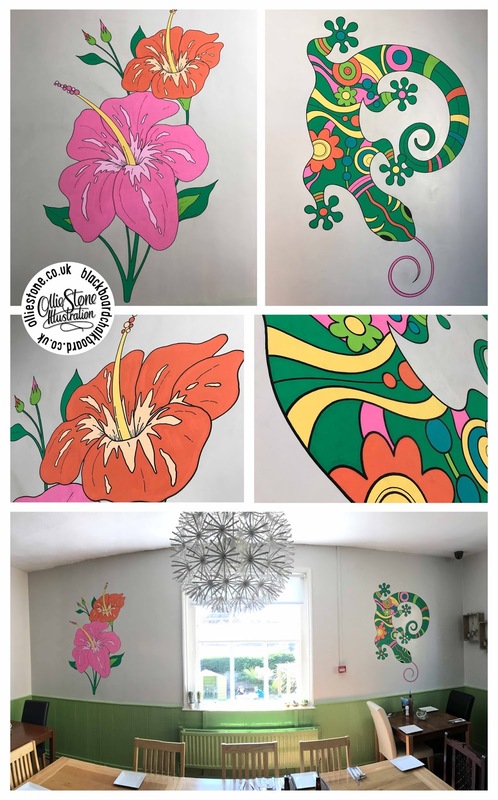 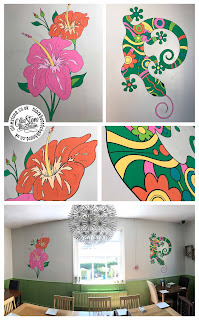 Mural painting at The Ark, Newhaven. 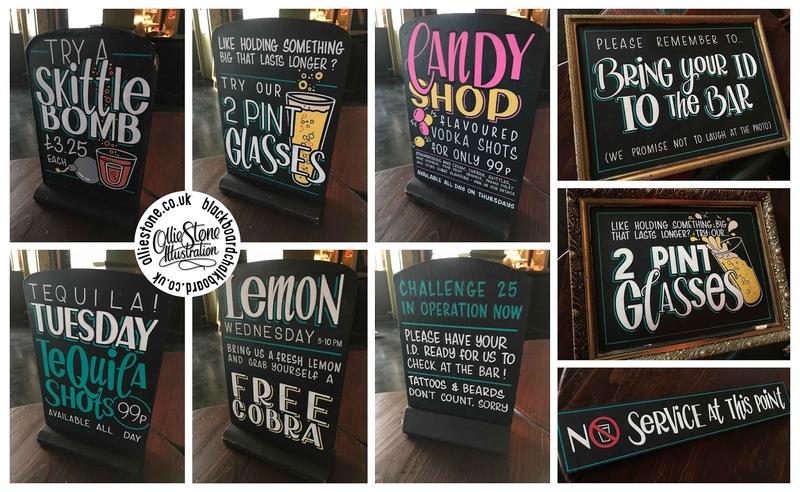 Chalkboards for The Hobgoblin, Brighton. 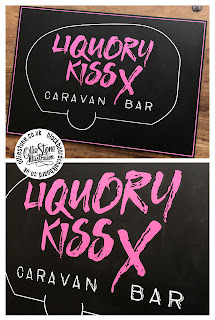 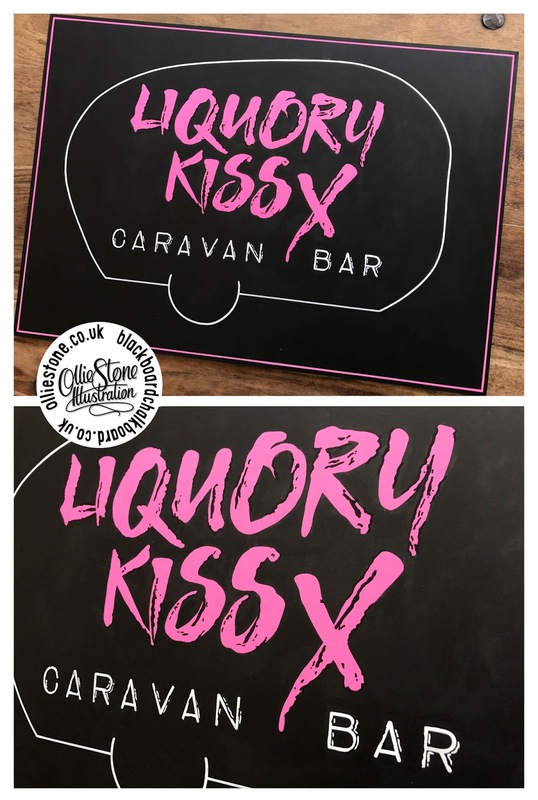 Logo chalkboard for Liquory Kiss, Brighton. 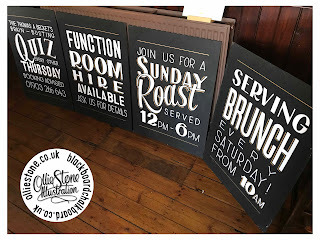 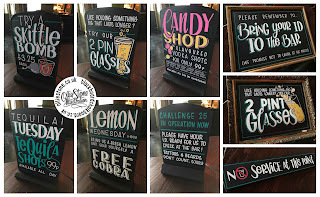 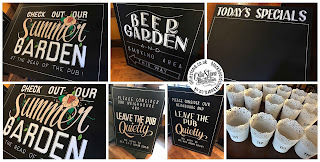 Chalkboards for The Sir Julian Huxley, Selsdon. 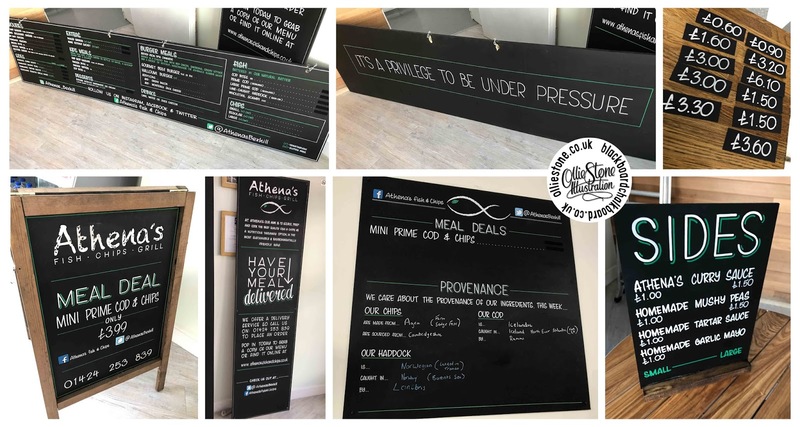 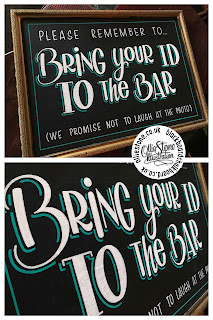 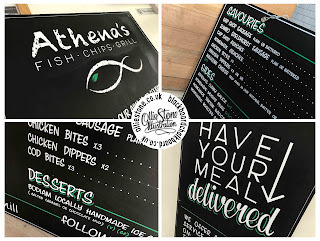 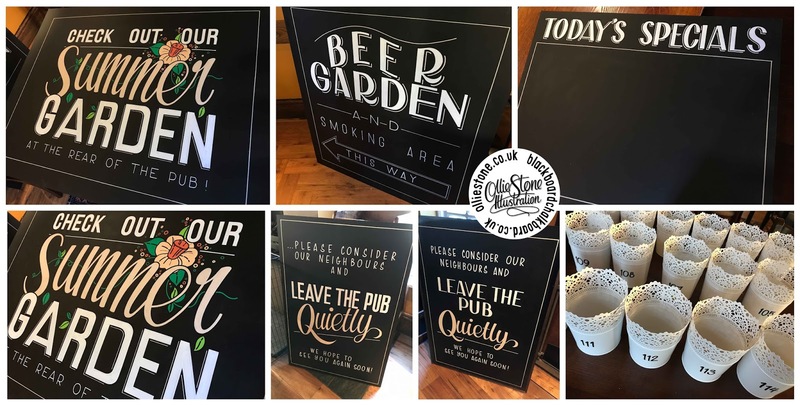 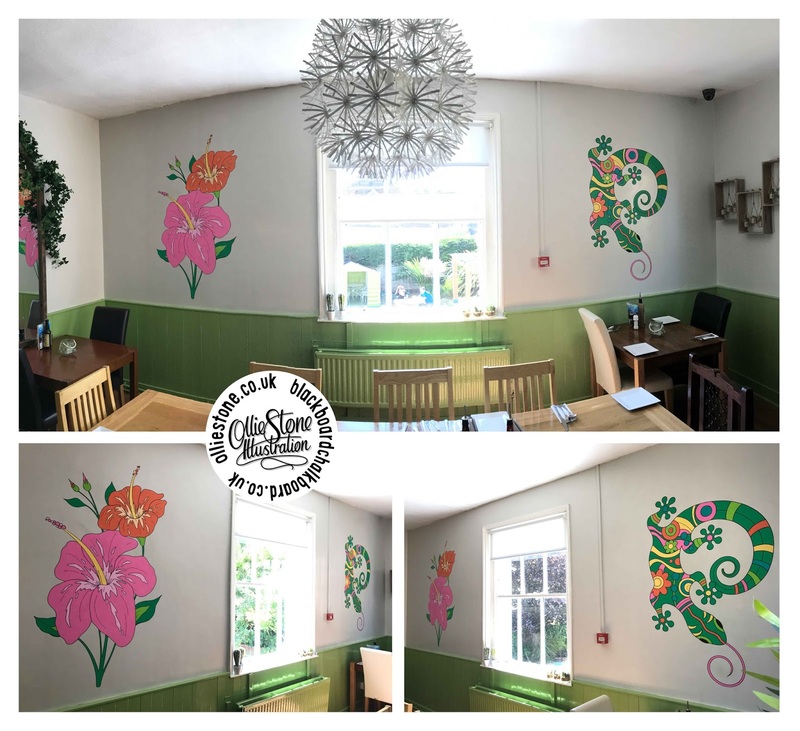 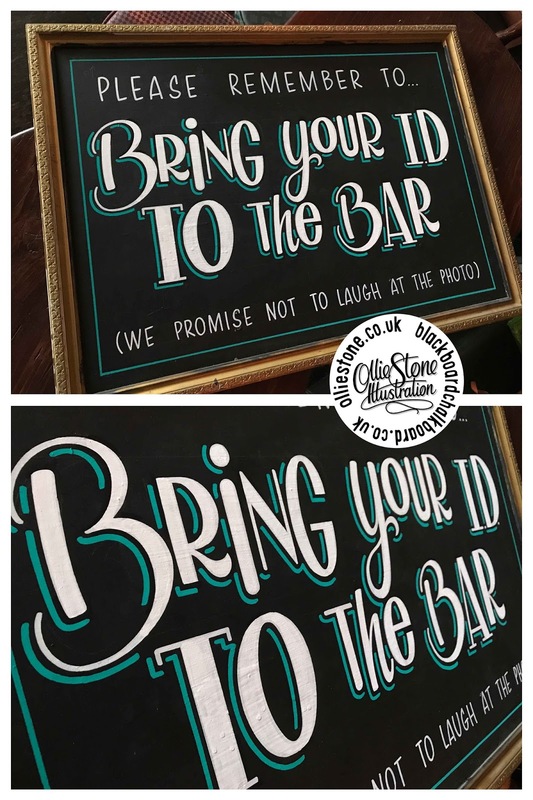 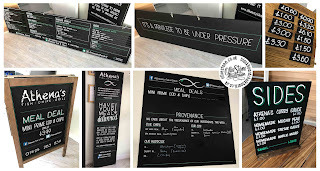 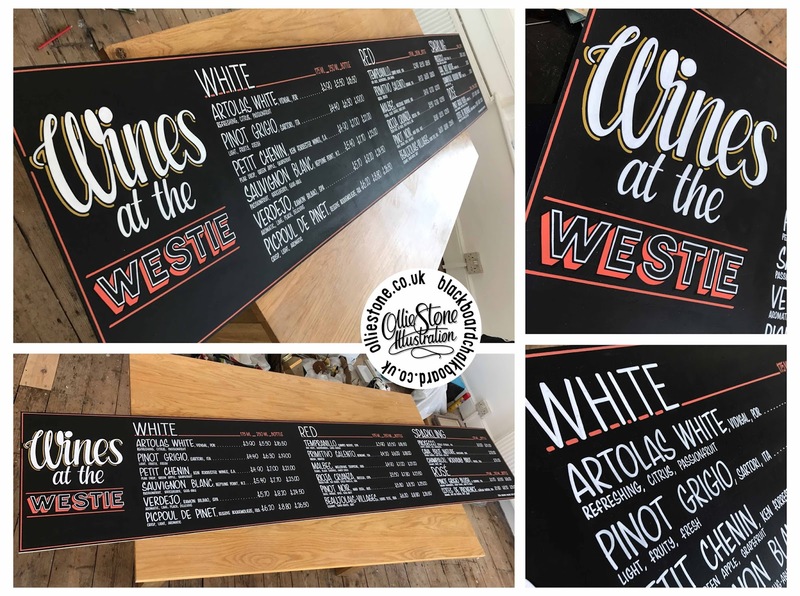 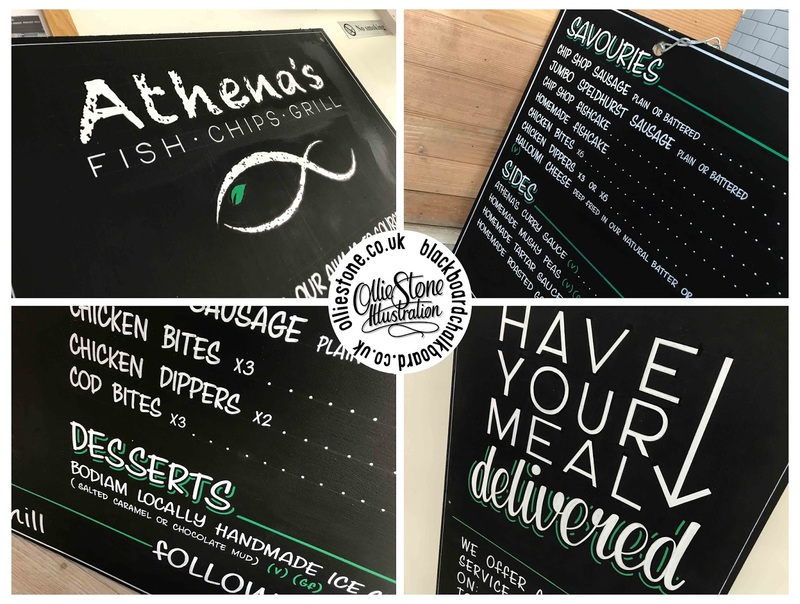 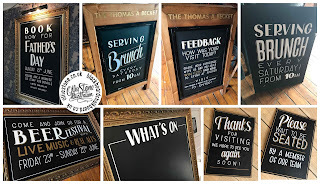 Chalkboards for The Thomas A Becket, Worthing. 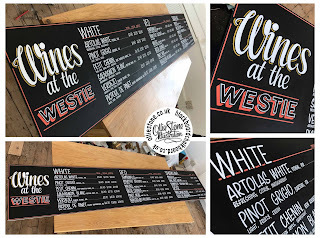 Chalkboard wine list for The West Hill Tavern, Brighton.